Budapest: Unless Sebastian Vettel bounces back with a strong performance at the Hungarian Grand Prix this week, he risks heading into Formula One’s summer break lagging behind Lewis Hamilton. Vettel should have been the one in the ascendancy, but his clumsy crash while leading the rain-soaked German Grand Prix last Sunday cost him the race and gifted victory to Hamilton. Rather than stretching his lead, the German driver now trails Hamilton by 17 points after 11 of 21 races. Vettel also gave away points with mistakes last year and must avoid doing that again as he and Hamilton duel for a fifth F1 title to move level with Argentine great Juan Manuel Fangio. Despite his basic error at Hockenheim, where he led by nearly 10 seconds before sliding off into the barriers late into the race, Vettel has been striking a defiant tone. His confidence is down to the fact that Ferrari has often been the quickest car this season, even more so than the usually dominant Mercedes of Hamilton’s team. 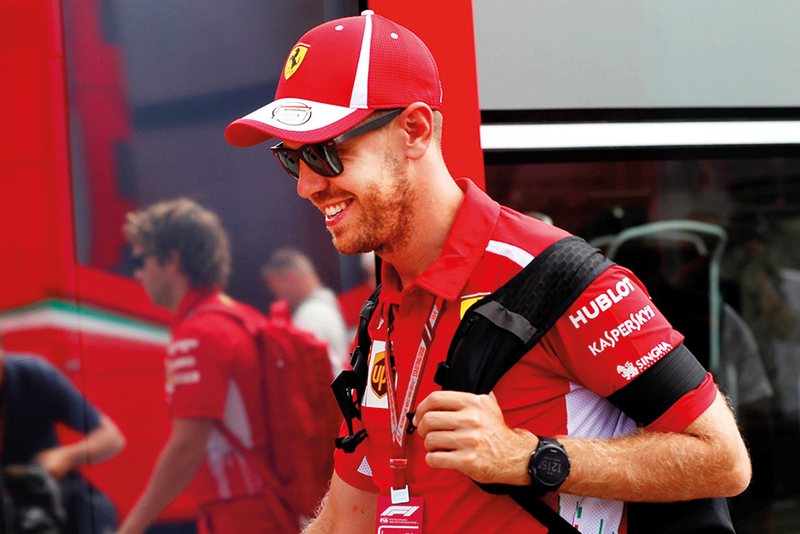 “Everyone knows what we can do, so I’m confident looking forward to Hungary,” Vettel said. Getting pole position at the tight Hungaroring circuit — known in F1 as Monaco without the walls — is crucial given it is among the hardest tracks in F1 for overtaking. Vettel won from pole last year. He held off veteran Finnish driver Kimi Raikkonen on the long straight into Turn 1, and held on to win despite driving more than half the race hampered by a steering problem. It is the sort of grit and tenacity he needs to show against a resilient Hamilton, who has often proved the better driver under pressure. Although Mercedes reclaimed the leads in the drivers’ and constructors’ championships after victory in Germany — with Valtteri Bottas ensuring an unexpected 1-2 — this does not disguise the fact Mercedes still have shortcomings. Before last weekend’s race, the talk was of car reliability and team strategy issues. Following the midseason break, the F1 championship resumes at the Spa track in Belgium on August 26. Usually, the last race before the summer break is a mixture of excitement and relief. But there will be more of a sombre mood hanging over the Budapest paddock after the death of former Ferrari president Sergio Marchionne. Marchionne, who was 66, died on Wednesday after complications from surgery in Zurich. Upon replacing Luca di Montezemolo at the head of Ferrari in 2014 — with the famous Italian scuderia a fading force in the series — the industrious and hugely determined Marchionne returned Ferrari to title-contending form this season and last.